Several Team Trev team members are about to depart Adelaide for two weeks, to compete and officiate in the World Solar Challenge. This event has been the training ground for many of us over the years, where we have learned what it takes to design, build, race and support lightweight electric vehicles powered by the sun. After competing in a few World Solar Challenges, we realised that if we can drive a vehicle across Australia at close to 100km/h powered entirely by the sun, we should be able to drive to work in an electric vehicle. That’s why Trev was born. If we can drive to work in an electric car, why can’t we drive one around the world using renewable energy? That’s why Team Trev entered Zero Race. If we can drive an electric car around the world, why can’t solar powered electric vehicles be used in disadvantaged areas, where the high cost of petrol and electricity leaves people in transport poverty? That’s why we’re developing the African Solar Taxi. Here is a full suite of renders showing the design of the African Solar Taxi. We’re ready to start building. 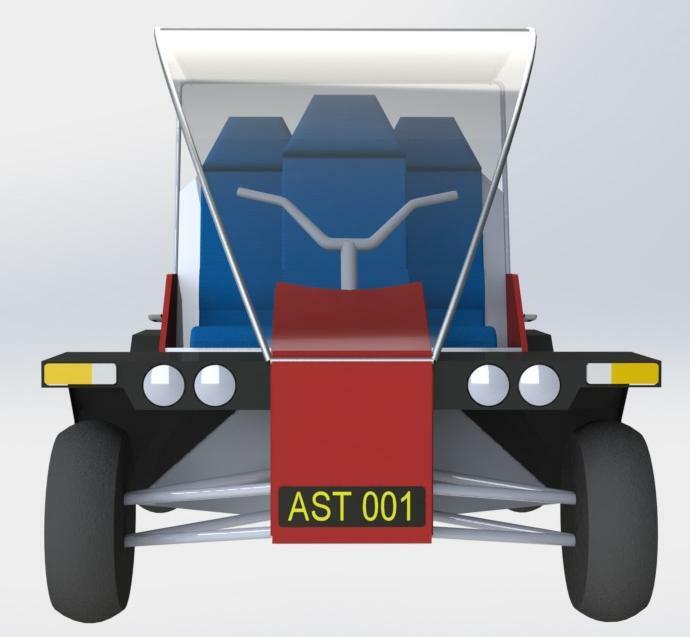 Our early concepts for the African Solar Taxi were developed using Sketchup, which is great for quick visualisations but is not as good as a proper 3D CAD model. Our industrial design student Andrew has therefore converted our design into SolidWorks, which allows us to evolve the design further, undertake structural analysis and prepare for construction of the first prototype vehicle.